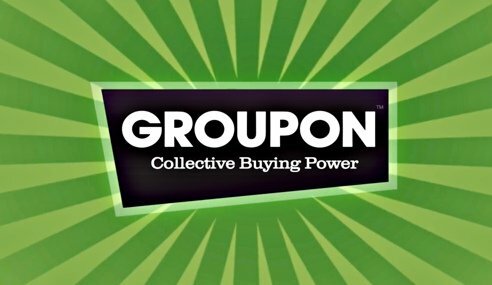 Groupon has swung into profit but weaker-than-expected revenue figures sent shares in the voucher firm sharply lower in after-hours trading. Net income for the three months to the end of June was $28.4 million, against a loss of $107.4 million a year ago. Revenue rose 45% to $568.3 million, and would have been higher but for a $32.4 million hit on exchange rates, the company said. But investors had expected a higher figure and shares in the firm fell more than 10% in after-hours trading. “Revenue was at the lower end of where they guided,” said Herman Leung, an analyst at Susquehanna Financial Group. Groupon said it now had 38 million active customers, an increase of 65% on a year earlier. It performed particularly well in North America, where revenues surged 66%. “We had a solid quarter despite challenges in Europe and continued investment in technology and infrastructure,” said Andrew Mason, Groupon’s chief executive. The company said total revenues would continue to grow, forecasting between $580 million and $620 million for the current quarter. Groupon made its stock market debut in November at $20 per share and peaked above $31 a share. They closed on Monday at $7.55, but fell below $6.50 in after-hours trading.